We would like to especially commend Anja Deichmann. Not only does she represent your company with the highest level of integrity and professionalism, Anja ensured that our best interests and the achievement of our dreams to live in Sarasota were achieved. Frank and Mary Ann D.
I would like to give a short testimonial about my recent transaction in Sarasota. We had the pleasure to work with Anja. Our experience was great, we found a genuine professional that demonstrated patience, competence and made us feel like we were her only customer. She demonstrated negotiation skills, talent and passion. We recommend you using Anja's services. Anja Deichmann is the consummate professional, very knowledgeable, and a tireless agent. Her work ethic and energy are truly extraordinary. In addition to having immense professional credentials, Anja is pleasant and fun to work with, and a truly caring person. We strongly recommend Anja to anyone looking to buy or sell in the Sarasota area. I received excellent service from Anja Deichmann during the search for and the purchase of my home on Siesta Key. It was a pleasure working with Anja. She was everything that I could have hoped for in a realtor. She was always clear, impeccable and timely, as well as always friendly. Her ever-present smile and uplifting demeanor was refreshing. I recommend her without reservation. Anja is a true professional. As one of the developers and principal owners of the 1350 Main Street High-Rise Project in downtown Sarasota, my wife and I have had the good fortune to have established a close working relationship with Anja Deichmann. We believe Anja is the finest residential real estate agent in the market today. Moving to Heritage Oaks in Florida (from Michigan) for our first inter-state move, we needed a lot of extra information, guidance, and hand-holding through the real estate process. We are so grateful to have had Anja Deichmann as our real estate professional. She went beyond the call of duty to help us every step of the way. I would highly recommend Anja to others. In fact, I already have! Thank you for your diligence and professionalism in selling our Villa. We were happy to have you represent our interests and will most definitely call you when it is time for us to sell our condo at HOGCC. The time and effort you put into advertising and showing the property was considerable and your personal insight into the eventual buyer’s desires was paramount in making the sale. Thank you!  Lorenzo and I wholeheartedly recommend Anja Deichmann from Michael Saunders to anyone who is buying or selling a home in Sarasota, Florida. Being snowbirds from Toronto we relied on Anja's expertise buying and selling three homes. Not only that she is a beauty but she is reliable, trustworthy with her advice, very prompt, extremely informative, determined, and wonderful to work with. What we also appreciate is the feedback we would get after every open house or a viewing. Anja is a good communicator and has great negotiation skills. If you are thinking of putting your house on the market or buying a new home, we highly recommend Anja Deichmann. Anja is the epitome of a true professional. She is very pleasant, extremely caring, knowledgeable, intuitive, and patient. She quickly honed in on our priorities and preferences. We did not feel pressured at anytime. Since we live out of state, Anja was most helpful in guiding us throughout the entire process of purchasing our condo. She tirelessly worked to make us happy as well as have a positive experience . She treated us like a family member. Without hesitation, we highly recommend Anja to anyone who is buying or selling real estate in the Sarasota area. looking to sell in Sarasota. Meeting Anja was a breath of fresh air. Not only is she extremely hard working and dedicated to her clients needs, but she also has great interpersonal skills, charm and is a delight to do business with. She made what could have been a daunting experience into one which was pleasant and carried out in a thoroughly professional manner. Anja Deichmann has made the whole process of purchasing a home a seamless and stress-free endeavor. From start to finish, she was a competent professional who would sacrifice her time to make sure that we were satisfied. We highly recommend her as a caring and dedicated real estate professional. My wife and I hereby would like to express our sincere appreciation of Anja Deichmann’s tremendous assistance for purchasing our condo at the “Meridian” in THE OAKS. None of the questions we asked or visits we made were “too much" for Anja and it is obvious she truly enjoys her profession. Anja was extremely helpful during the entire process. We will never hesitate to forward her name to anyone who is interested in buying or selling real estate in Sarasota. Anja Deichmann was very helpful online but she shone after we met her in person. Although it was a short sale, she guided us through the troublesome process right through a seamless closing and beyond. We could not have envisioned a better partner in our search. From start to finish, Anja made me feel like she not only cared, but she also knew how to get the deal of selling my property done. She was wonderful to work with and stayed on top of every detail. Her advice demonstrated expertise and thoughtfulness. I cannot recommend her highly enough. She is everything you want your listing agent to be—and more. Dear Michael, We were extremely pleased with your sales associate, Anja Deichmann. Anja was very professional, knowledgeable, responsive and helpful during the entire process of our real estate transaction. Her service was above and beyond. Thank you Anja for a job well done! Patience, Perseverance, Knowledge and Friendliness - These are qualities paramount for a professional Real Estate Agent. Anja has them in abundance. We highly recommend her to anyone interested in Sarasota Real Estate. I cannot begin to describe how exceptional and professional Anja Deichmann’s service was to us, from beginning to end. She is brilliant and proficient in fulfilling her duties. I have recommended her to many of my family members and friends who have gone on to purchase their own vacation domiciles. Anja Deichmann was absolutely wonderful in helping us purchase our home in Sarasota. She was completely professional, and consistently looked out for our best interests, including recommendations for local skilled tradesmen, inspectors and legal advisors. We give her our total recommendations as an excellent real estate professional. to recommend our friends to her. Dear Anja: Congratulations on your outstanding performance last year. While your success was measured in the millions, I know your real satisfaction comes from one happy customer at a time. Please accept my sincere gratitude for being one of our top-performing agents last year, and for your significant contributions toward the company achieving $2+ billion in annual sales. These exceptional results are a testament to your strong values, tireless work ethic and the ability to always listen and learn. We applaud you for delivering exemplary service each and every day and look forward to another inspiring year. Michael Saunders, Michael Saunders & Co. I was extremely pleased with the services provided by Anja Deichmann as our Real Estate Agent. Anja’s professional attitude and competence were greatly appreciated. I was most impressed with the exceptional service we received even when we were miles away! During our search for our vacation condo, Anja was professional, knowledgeable and most importantly, patient with us. Anja knows the Sarasota and Siesta Key market very well and we could not have asked for better service from our realtor. We highly recommend Anja. Anja Deichmann was absolutely wonderful in helping us purchase our first home in Sarasota. She was thorough, professional, caring and always looked out for our best interests. How glad we are that we decided to retain Anja as our realtor! We highly recommend Anja as an excellent real estate professional. Frau Anja Deichmann hat uns in allen Belangen außerordentlich und hervorragend betreut und unterstützt. Wir können Frau Deichmann zu jedem Zeitpunkt empfehlen. We wanted to express our thanks for the wonderful service and effort given us by Anja Deichmann. We will both use and recommend your services to everyone we come in contact with. A wise old carpet salesman told me...'Do a good job for someone and they will tell their friends... do a bad job and they'll tell everyone they see!' You have done a great job! Mit Anja Deichmann haben wir die beste Wahl getroffen. Anja ist eine warmherzige Person, die es versteht, Menschen an die Hand zu nehmen. Mit ihrer Hilfe haben wir unser perfektes Haus gefunden. Sie überzeugte mit Wissen und ihrer sehr professionellen Arbeitsweise. Herzlichen Dank. We made the best choice. Anja is a warm person who knows to inspire people. With her help we found the perfect house. She impressed us with her knowledge and her professional work. Thank you, my friend. We have been absolutely overwhelmed by the service we have received from Anja Deichmann. We have never previously purchased a property in the US, but from the very first minute right up to closing we felt in very safe hands.